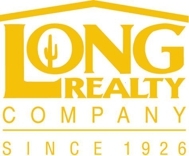 Are you relocating to Tucson, AZ and are looking for a new home? Perhaps filled with questions about life in the SWDesert area? Employees from Caterpillar will be moving to Tucson as well over the next five years and curious about the Tucson lifestyle, sent questions regarding relocation to our beautiful desert pueblo. What better opportunity for blogging than to help provide information to help ALL those contemplating moving to the metropolitan Tucson area. What is Polybutylene and why is it in Tucson homes? Polybutylene was used to create water pipes from the late 1970's to the mid 1990s. It was cheap to produce, easy to install and didn't need maintenance. It was a common substitute for traditional copper tubing in Tucson. Why should you be concerned? There are a couple of problems with poly pipes. 1) Tight joints are difficult to achieve. 2) The pipe itself deteriorates over time, often from contaminates like chlorine in the water supply, sunlight, etc. Worse, Poly pipe generally takes 10-15 years to begin to show signs of severe deterioration. Polybutylene tubing hardens and becomes brittle; under pressure it will become weak, flake inside and split apart. Failure can occur in the plastic fittings or in the piping itself. Tiny cracks can result and the basic structural integrity of the plumbing system is reduced. Deterioration begins from the inside of the Polybutylene tubing, so no evidence is visible from the outside. It is virtually impossible to detect installation problems throughout an entire system. Spot repairs are temporary fixes. Even if the Polybutylene has not yet shown any leaks, it is known that Polybutylene piping will leak eventually. It's kind of like the statement, "Every Home in Tucson either has termites, or will have termites" but that's another blog post for another day. Just know that if your home has poly pipes, they are destined to fail. What should you do if the home you purchase has polybutylene piping? Don't delay in having your home completely re-plumbed. The pipes can be replaced and there are local plumbing companies that specialize in this work. Is it expensive? Yes. If the home you’re considering still has polybutylene plumbing, you will want to build the cost of re-plumbing into your purchase or repair budget. How to identify poly pipes: Blue, gray and black pipes in ½” to 1” diameters is common. Blue pipes were used outdoors for primarily cold water. Gray and black were used interchangeably both outdoor and indoor. Not all “plastic” pipes are PB (poly). If you do see plastic, it may be PEX, a perfectly suitable alternative for re-plumbing, which is less expensive than copper, especially since PEX is flexible and well adapted for temperatures below freezing all the way up to 200° F.
You're a buyer in the inspection period and disclosures/inspector point out that you have poly. Now what? During the inspection period (the first 10 days following acceptance of your offer), in addition to a full home inspection, get repair bids from one or more qualified poly replacement companies. Replacement entails abandoning all poly pipes and installing a new system. It’s not difficult, but it involves cutting some holes in the wallboard to gain access. Some companies include patching and repainting the walls, others just do the re-plumbing and leave the patching and painting to you, so be sure you know what is included in the bid. If you know from the beginning there is poly in the home, you can include this repair in the terms of the purchase contract. If not, then it can be negotiated during the inspection period, as in “Seller to replace polybutylene plumbing…” The selling price may already reflect the cost of poly replacement, or can be negotiated to allow for repair. Failure can occur in the plastic fittings or in the piping itself. And, just a reminder -- I am not a polybutylene "expert", but a real estate agent. I am always happy to point you in the direction of professionals who deal with plumbing challenges. This information is compiled from many sources in order to give you a heads up on poly pipes in the Tucson area.